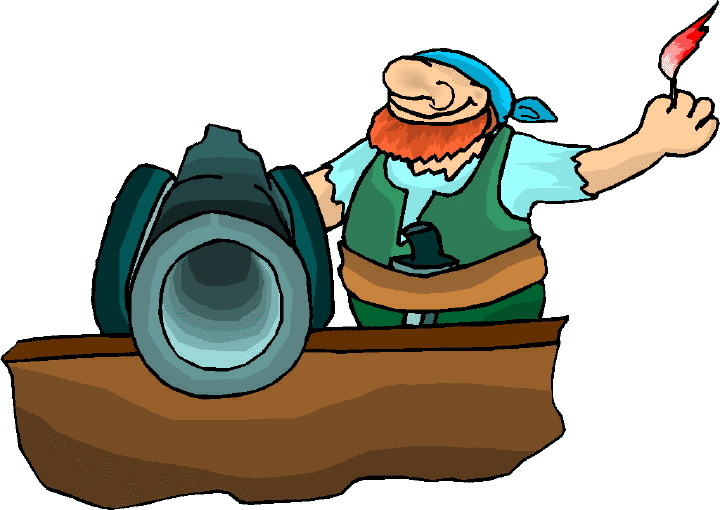 Anyone familiar with golden age piracy has probably encountered two names: Blackbeard and Queen Anne’s Revenge. Three hundred years ago, on 10 June 1718, this pirate’s flagship ran aground in North Carolina waters. She remained lost to history until 21 November 1996 when Intersal, a treasure-salvage company, and North Carolina state archaeologists discovered a debris field of cannons and anchors on the seabed. To celebrate the tercentenary of this shipwreck, Wilde-Ramsing and Carnes-McNaughton bring together the findings from their investigation and interpretation of the artifacts of this vessel and the history of her legendary captain. This is not an academic treatise, but a book geared toward lay readers who want to know more about nautical life in the early 1700s, how archaeologists work, and what they discovered. Blackbeard’s piratical career spanned a mere two years, yet even young children recognize his name. He was born Edward Thache (variant spellings include Thatch and Teach, but the pronunciation mirrors the latter) around 1683 in England, but his family soon moved to Jamaica where he grew up. During Queen Anne’s War (also known in America as the French and Indian War and in Europe as the War of the Spanish Succession), he served aboard a Royal Navy ship before becoming a privateer and later a pirate. In November 1717, he and his men captured a French privateer-turned-slaver, which he appropriated as his flagship and renamed the Queen Anne’s Revenge. He also acquired fourteen additional crewmen – ten were forced, four joined willingly – and 157 Africans, some of whom would later be sold as slaves. Thus began six months of “hit and run” attacks, in concert with three smaller vessels, on merchant ships in the Caribbean and along the North American coast. At the time of his blockade of Charles Towne in South Carolina, the QAR was armed with forty guns, the same armament found on a fifth rate naval ship – a rare sight in American and Caribbean waters – and, in total, his four ships carried 300 to 400 pirates. Then one day in 1718, the QAR and another vessel grounded on a sandbar in Beaufort Inlet, North Carolina and five months later, Thache was dead and his men were captured or deceased. This book is divided into eight chapters, each of which focuses on a particular aspect of the history, discovery, or legacy of the QAR. Interspersed through the chapters are color photographs, pictures, maps, graphs, and tables, as well as two-page, informative essays that examine a subtopic of a particular subject in greater depth. These are written either by the book’s authors or other contributors. Enhancing the reading experience are end notes, which indicate consulted sources and add extra tidbits of information not found within the text, and an index. 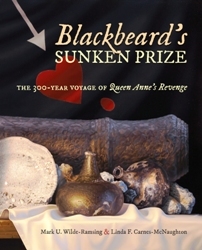 Blackbeard’s Sunken Prize is a fascinating exploration of history and seafaring life, and a compelling collection of artifacts, what archaeologists do, and how they concluded that this was indeed the wreckage of Blackbeard’s pirate ship. Tantalizing tidbits of treasure abound within the pages of this comprehensive volume. Particularly intriguing are the artist’s rendering of excavation activities on two expeditions (page 65); the challenges faced in balancing public interest and researching the site; what materials have survived the passage of time and the environment’s impact on the wreckage; how archaeologists tracked down information to learn as much as possible about specific artifacts; learning what happened to various people after the wreck in 1718; and discovering that there is still more to excavate and analyze. Aside from being an invaluable addition to any collection on pirate history and Edward Thache, this volume serves as an excellent introduction to a career in archaeology and the legacy that the history, site, artifacts, and research provide to current and future generations.